The Aboriginal Child Language Project 1 was funded by an Australian Research Council Discovery Grant. The project investigated the type of input children receive in multilingual environments that include a traditional language, a contact variety of English and code-mixing between languages and speech styles. It involved case studies of three Aboriginal communities. The Aboriginal Child Language Acquisition Project identified how well Indigenous Australian children manage the major change from a home environment, in which Standard Australian English is not the dominant code, to the school environment, in which it is the main code. This research allowed us to determine whether, and to what extent, the different codes the children bring from home, and the demands made of them in the school, affect their ability to manage and fully participate in the school environment. The importance of language skills cannot be underestimated, and contribute to 'a healthy start to life'. In multilingual Indigenous communities, children must negotiate the complexities of different languages used for different purposes. This project provided detailed insights into how children manage differences between home and school language, the kinds of problems they encounter when they enter the school system, and how their languages develop over the first four crucial years of school which provide the foundation for the children's future education. Their ability to manage the language of school underpins their ability to lead successful and engaged lives as adults. 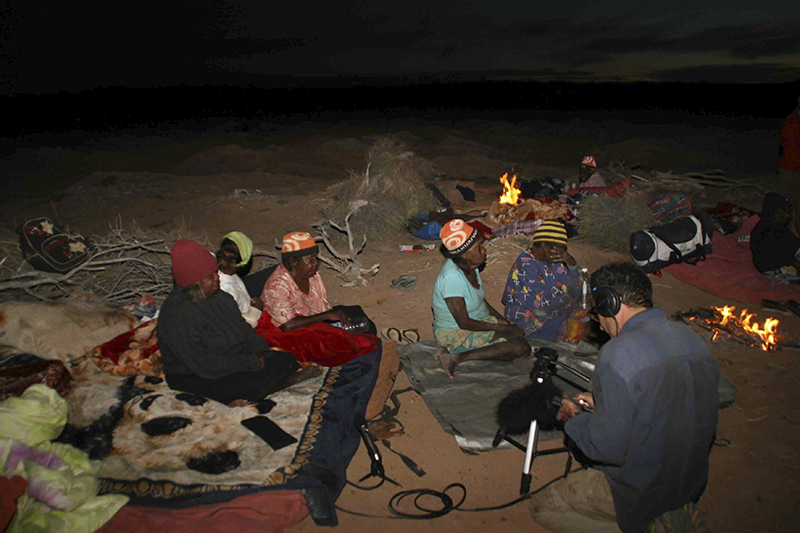 Central Australian Aboriginal sand stories are a unique form of storytelling that incorporates speech, song, gesture, signs and drawn graphic symbols. This project enhanced our understandings of these narrative traditions and provided insight into the complexities of multimodal communicative systems as they are used in day‑to‑day interactions. The Getting in Touch project sought to create new and meaningful language projects with Indigenous communities with respect to the development of new digital technologies. The Getting in Touch project aimed toward the concept of Digital Inclusion: making sure that Indigenous communities have support to develop digital resources in their own languages. In April 2014, a workshop was held at the Batchelor Institute's campus at the Desert People's Centre in Alice Springs. It brought together teams from Indigenous communities, linguists and technology experts. The workshop discussed issues and ideas about digital tools for Indigenous Language Speakers. Everyone brainstormed these ideas and created maps and plans for future resources. Among those present were language teams from Maningrida, Wadeye, Warruwi (Goulburn Island), Ti Tree, Alice Springs, Willowra, Ngaanyatjarra lands, Pitjantjatjara lands, and Mwengart (McClaren Creek). The workshop was funded by The University of Melbourne Social Equity Institute, and was supported by the Australian Government's Indigenous Languages Support Program, the Australian Research Council, Batchelor Institute and First Languages Australia. You can read about the project, view some presentation slides and watch a short film about the project on the Centre for Australian Languages and Linguistics Getting in Touch web page. One of the major outcomes from this workshop was the development of the Getting in Touch Bird Apps. This project documented variation and change in Murrinhpatha, a polysynthetic language of northern Australia, over the last 80 years. Since settlement began in the 1930s, the Murrinhpatha speech community has undergone both radical social change, and intensive language contact. 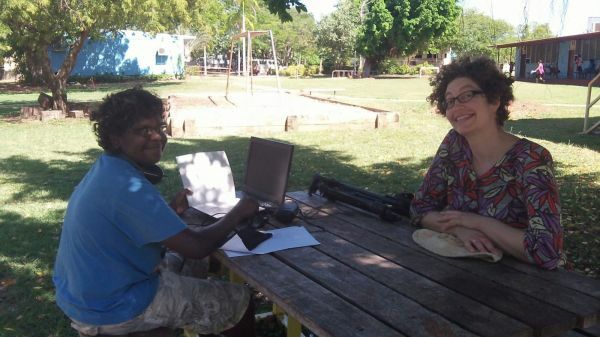 It is still learnt as L1 by all children in the town of Wadeye, and in fact enjoys growing speaker numbers, and increasing recognition as a contact language in locations as distant as Darwin and Kununurra. 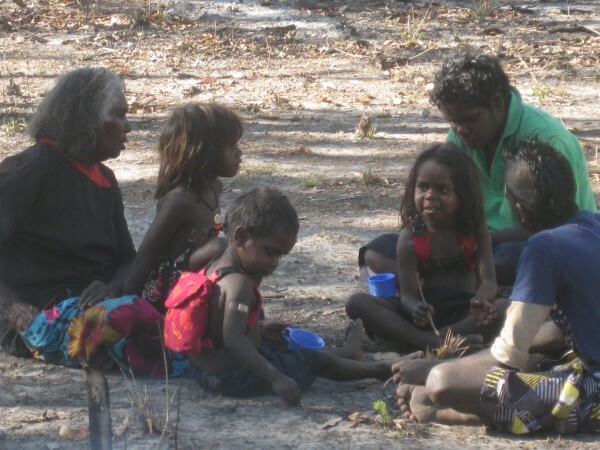 The majority of speakers are no longer from the traditional Murrinhpatha clans, but rather from Marri Ngarr, Marri Tjevin, Ngan'gi, Jaminjung and other language groups. 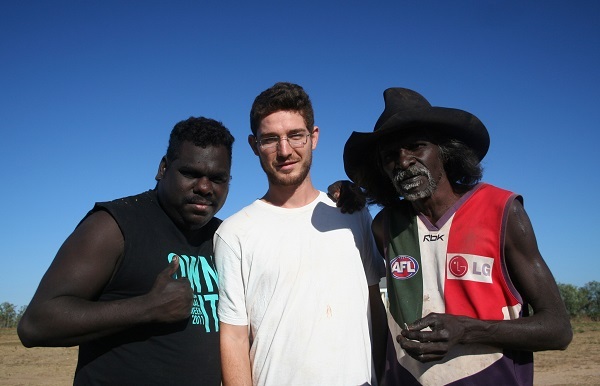 Murrinhpatha is also embracing new sociolinguistic functions, as the growth of the town Wadeye foments the emergence of a distinctive local youth subculture. The project examined phonological and morphosyntactic variables in Murrinhpatha, based on substantial corpus data compiled to represent three generational slices: pre-settlement (born 1900-1935), Catholic mission era (born 1935-1975), and contemporary (born 1975-present). Such a dataset is unprecedented in the study of Australian Aboriginal languages, and provided insight into the micro-evolution of a language that is both typologically and socially very different from any language that have previously been studied in this way. This project provided detailed study of the acquisition of Murrinhpatha (Wadeye, NT), based on the language of Murrinhpatha speaking children from 2-6 years. Although much is known about how children acquire languages such as English, there has been very little research that examines how children acquire a complex polysynthetic language like Murrinhpatha. The findings from this project have implications for our understanding of how acquisition processes are created through linguistic complexity, cognitive constraints and social interaction and how these processes differ across children acquiring radically different language types. It also provided detailed language information for the bilingual school program in Wadeye to ensure that the maintenance of Murrinhpatha is optimally managed in the early school years. Chief Investigators: Professor Rachel Nordlinger, Dr Barbara Kelly, Professor Gillian Wigglesworth, Dr Joe Blythe , ARC discovery grant.